Histopathology - TCS Biosciences Ltd. 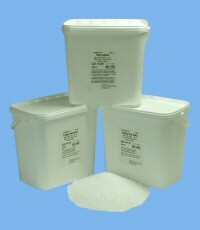 Produced as easy-to-use pastillated pellets, our paraffin wax is packed in 5kg containers which can later be used for the storage of specimens. Also available is the long established, popular Polywax, a blend of pure paraffin wax with plastic polymer. With a melting point of 57°C Polywax reduces crystallisation and imparts a texture which facilitates the sectioning of tough or friable tissue.